This review is on the Black and Decker MM275 which is an 18 inch, 9 amp electric lawnmower with mulching capabilities. Some of the other small corded electric models do not have the mulching capability. This model not only has the ability to mulch but it also can catch the clippings if you buy an optional attachment. The side-discharge option is included. This review is on the Earthwise 60120 and it probably won’t be as long as my other reviews. You’ll find out why as you go through this one. This is a popular model but lately they have had some problems that are cropping up too often. 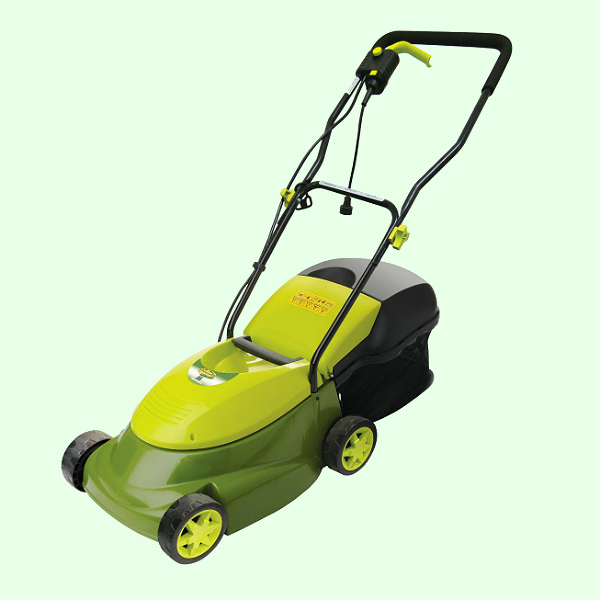 I will still go through all the features and benefits as well as the troubles that people are having with this lawnmower and I will make recommendations as to whether I would buy it, and if not, I will tell you which mowers I would look at instead. This is going to be an in-depth Black & Decker CM 1836 Review. This cordless electric lawnmower is 18 inches and 36 V. The B & D CM1836 has over 200 reviews on Amazon alone and it is still pulling in 4.1 stars. With that many reviews, that is a very good rating. This WORX WG782 Review is going to be on a small mower but it is cordless so you’ll would be free of the cord if you get this type of mower. 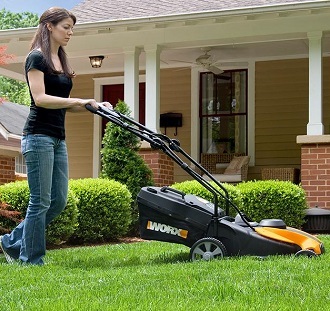 With almost 200 reviews at Amazon this mower is still pulling in a strong 4.1 stars rating. Some people have described this mower as “looking like a toy”. That is due to the fact that they used a lot of plastic in this mower. The Earthwise 50214 is a small mower with mulching capabilities. The best review on the web is here and outlines all the info I could find on this mower from the internet. While this mower does not have a bag option it gets very high marks from most customers that have bought it. 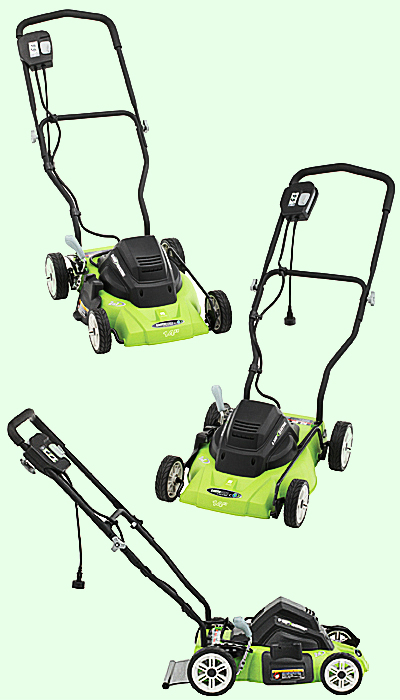 The Sun Joe MJ401E is a smaller mower designed for easy use on smaller yards. It’s light weight makes it exceptionally easy to maneuver in tight spaces. Although it is not equipped with a lot of extras it does have a very powerful motor for its size.